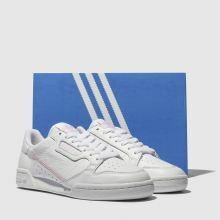 Heritage sports appeal is easy with the adidas Continental 80. 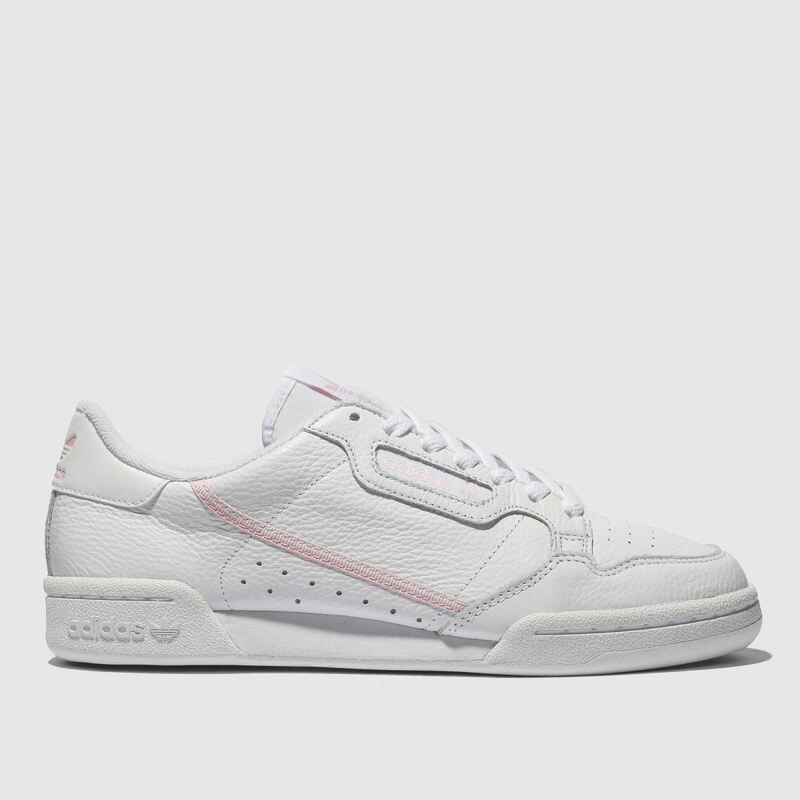 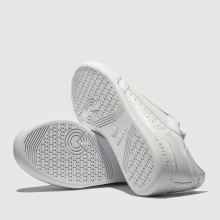 This retro runner features a layered white leather upper with perforated details and overlay stitching. 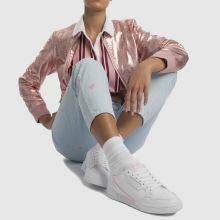 Sweet pale pink branded accents and a signature sidewall stripe complete the look.